Tonight's State the Union address, which I did not see, clocks in as the third longest ever. This reminds me of a story about Woodrow Wilson, the twenty-eighth president. 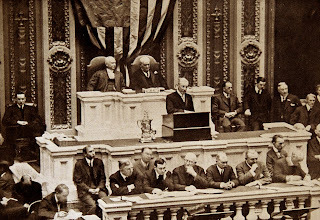 A noted orator, Wilson was lauded for his usually short speeches. A member of his cabinet asked him how long it took him to prepare his addresses. That quote has often reined me in as a preacher and incited me (most weeks) to begin preparing early. By the way, Wilson, despite his placid exterior, was a man of volcanic passions who could be as deeply wrong as he was stunningly right. He was deeply wrong about race and the first "Red Scare" created by his administration. He was right about what needed to happen in post-World War 1 to prevent a future global conflagration. 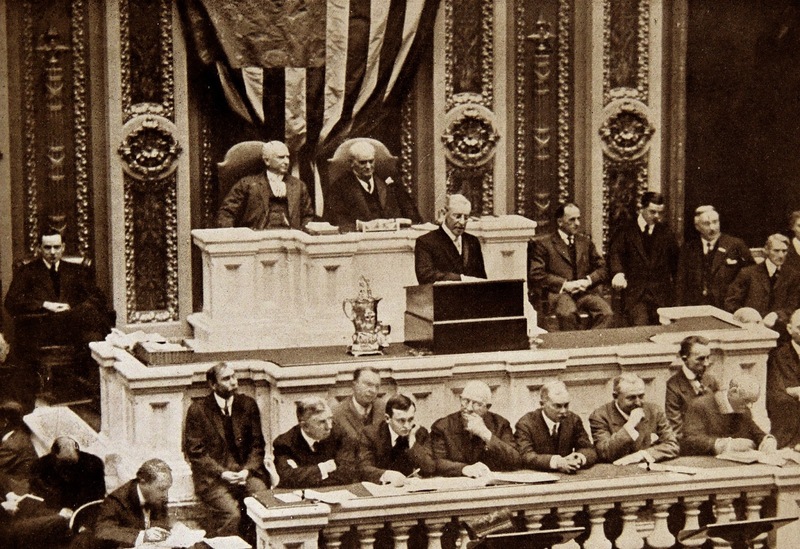 On this second issue, Wilson hurt his own cause by insisting that the agreement he brought home from France, the Treaty Versailles, be approved by the Senate with no amendments. His intransigence, which led to Senate rejection of the treaty, meant that the United States wouldn't play the positive role it could have played in the League of Nations toward preventing World War 2. But on speech writing and delivery, he was a champ, which is why he became the first president since Thomas Jefferson, who loathed public speaking, to deliver the State of the Union address to Congress in person.